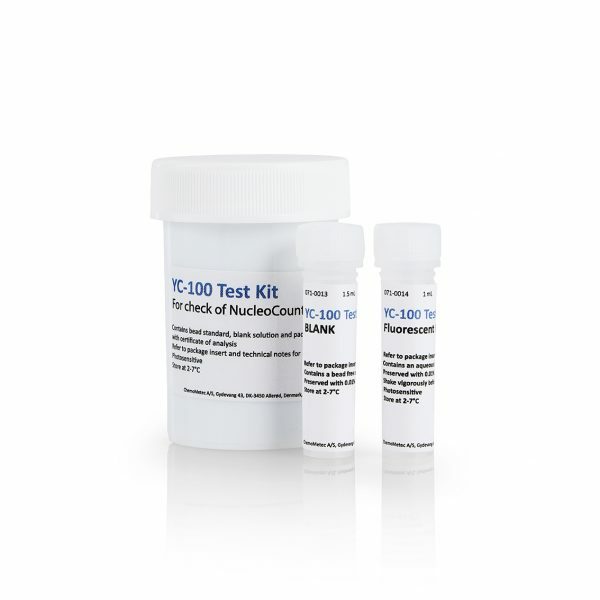 The NucleoCounter® YC-100™ test kit consists of 1 vial containing fluorescent beads and 1 blank vial with no beads to verify the functionality of the YC-100™, and OQ test plan containing information about the tests to be performed on the instrument. 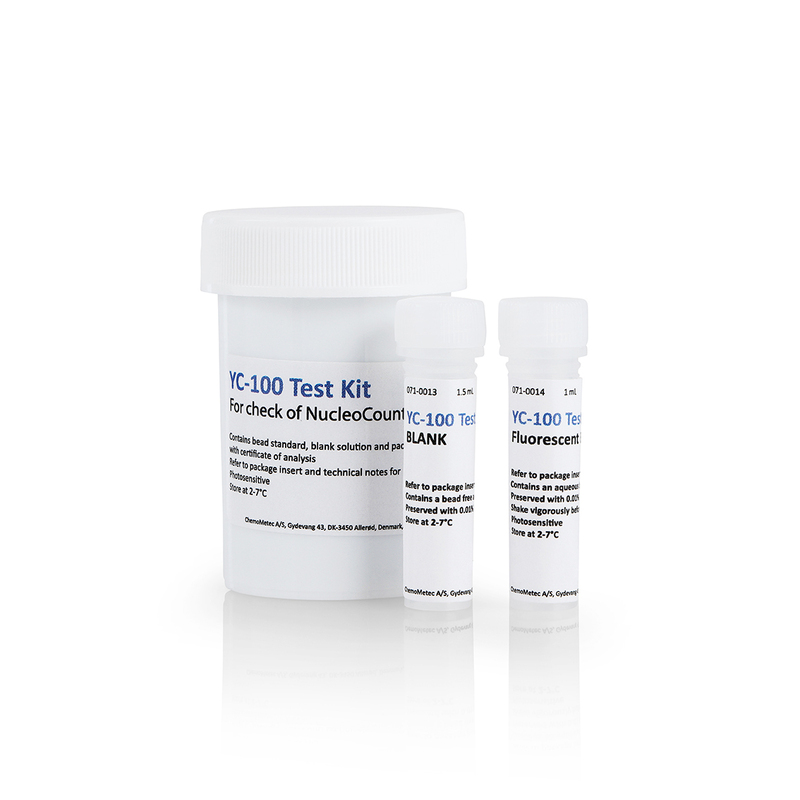 To be used for installation qualification (IQ) and operation qualification (OQ) checks of the NucleoCounter® YC-100™. IQ/OQ is used to validate the instrument installation and operational qualities. 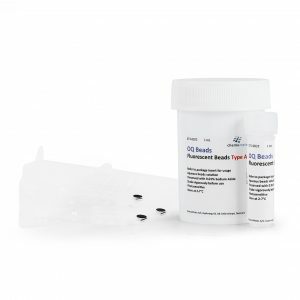 The IQ is the documented proof that the instrument has been delivered and installed in accordance with the requirements set by the manufacturer. The OQ is a test process which establishes that the functionality of the instrument is in accordance of the specifications issued by the manufacturer.